Bivit is an international nutritional engineering company based in Wevelgem, Belgium. The company produces animal feed premixes and nutritional supplements that improve livestock health and induce faster growth. No harmful supplements, but a holistic view of feed, health, and livestock – a perfect fit for INDEFF. In 2016 Bivit recognized the need for technological innovation. INDEFF successfully implemented its new, standard automation system – compatible with existing hardware – and integrated a state-of-the-art solution. The new INDEFF solution represents an evolution from custom automation systems to one modular solution – a transition that offers plenty of benefits to SME business owners: cost-effective implementation, more reliable architecture and open-source accessibility. An open source, standardized solution that is compatible with most production processes – that is how INDEFF tries to move beyond the custom automation solutions. It allows SMEs to work with the best parts of Wonderware System Platform, Wonderware Recipe Manager Plus, Wonderware MES and Wonderware Enterprise Integrator in one modular framework. 100% ready to be implemented into your production facility. 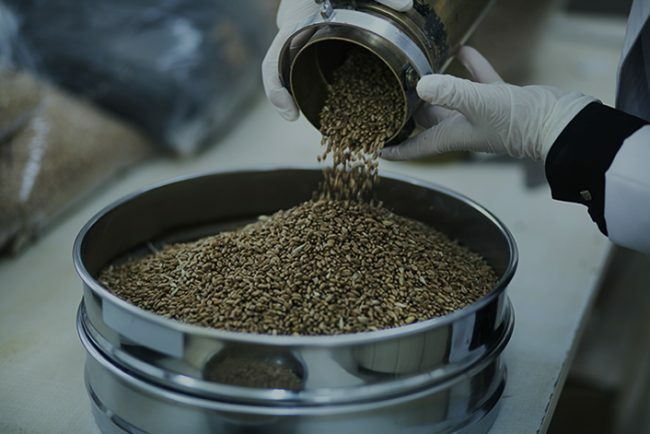 Any production process in the Food & Beverage industry relies on trustworthy recipe management. Thanks to its new automation system, Bivit merely has to enter changes to bills of materials once for all processes to be updated. And informed operators mean fewer mistakes. In order to guarantee the purity of Bivit’s products, our structure tracks residue and guarantees that batches do not contaminate each other. Additionally, when one ingredient needs to be substituted, the recipe recalibration is automatically equated throughout the production process.